Coming into this season, the Lady Bulldogs of Wilson High School had lofty expectations. Among their expectations was to play for a District 3-AAAA title. A win Monday evening would put that goal in reach. Standing in the way of the Wilson girls was a 27-0 Manheim Township team, who had earned the top seed in the tournament. The Lady Bulldogs exploded right out of the gates, jumping in front 6-0 behind fast break layups by Avery Marz and Jessie Wallace. However, the No.1 seeded Blue Streaks would answer with a 7-0 run of their own. Jessie Wallace would score the final basket of the quarter though, giving the Lady Bulldogs an 8-7 lead after one. In a first half which saw the Lady Bulldogs commit 9 fouls before a single infraction was called on Manheim Township, the Wilson girls managed to keep their heads above water. Heading into the half, Wilson held a 28-19 lead, despite the foul disparity. 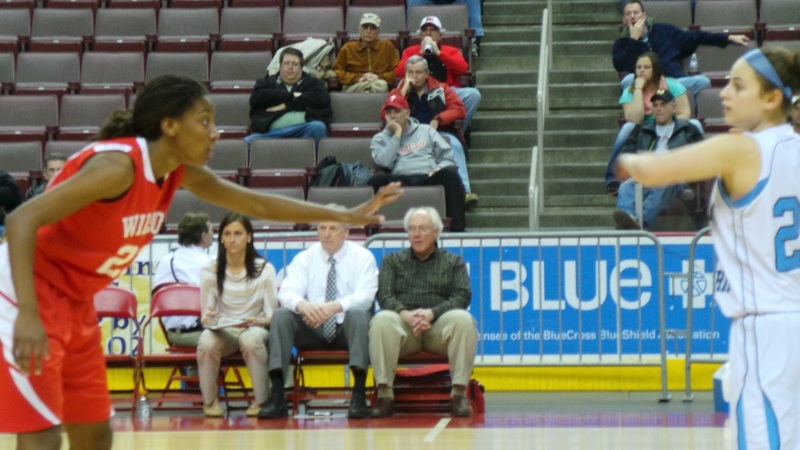 In the first half, Shannon O’Brien was the only Wilson starter to not pick up at least two fouls. The third quarter saw senior forwards Carley Brew and Jessie Wallace pull the Lady Bulldogs into a comfortable position. Despite a push from Kaitlyn VanTash and Alexandra Leslie, the Lady Blue Streaks just could not contain Wilson’s low post presence. Carley Brew, who had been held to just 3 points in the first half, exploded for 11 points during the third quarter, giving Wilson a 47-30 lead after three quarters. The fourth quarter went much like the third for Wilson, as they outscored Manheim Township 19-12, on their way to a 66-42 victory. Leading the way for the Lady Bulldogs was Carley Brew, who posted a game-high 19 points and 8 rebounds. Meanwhile, Jessie Wallace and Avery Marz each added 15 points. Ivory Bailey also reached double figures with 10 points and 8 assists for Wilson. 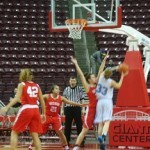 The Lady Blue Streaks were led by their senior tandem Alex Leslie (16 points) and Kaitlyn VanTash (15 points). After the game, Wilson coach Doug Myer called it “a very mature win”. “These girls battled through a lot of adversity in the first half when things weren’t going their way. We came out of the half very disciplined and made great adjustments defensively.”, Myer added. 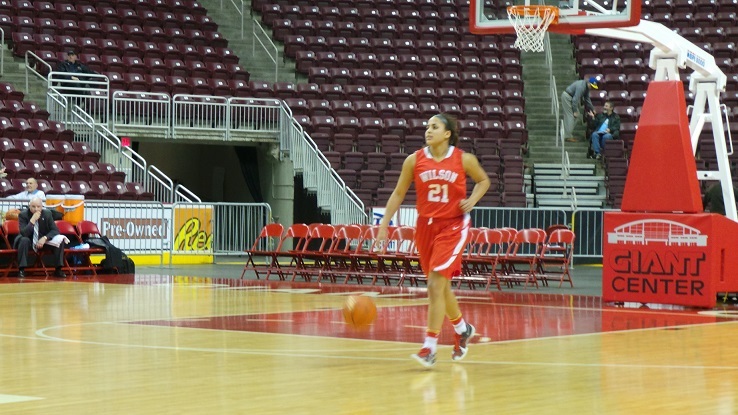 The Wilson girls will play against the winner of Cumberland Valley and Dover on Friday night at the Giant Center in Hershey at 8:30 PM.